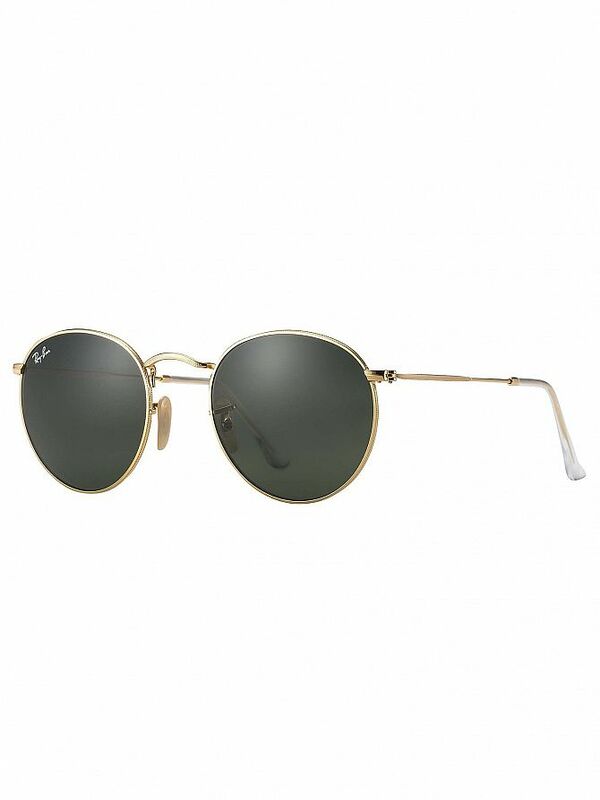 The RB3447 Round Metal Sunglasses from Ray-Ban comes in Gold design. Featuring branded lenses, these retro sunglasses were inspired by the 1960s counter-culture. 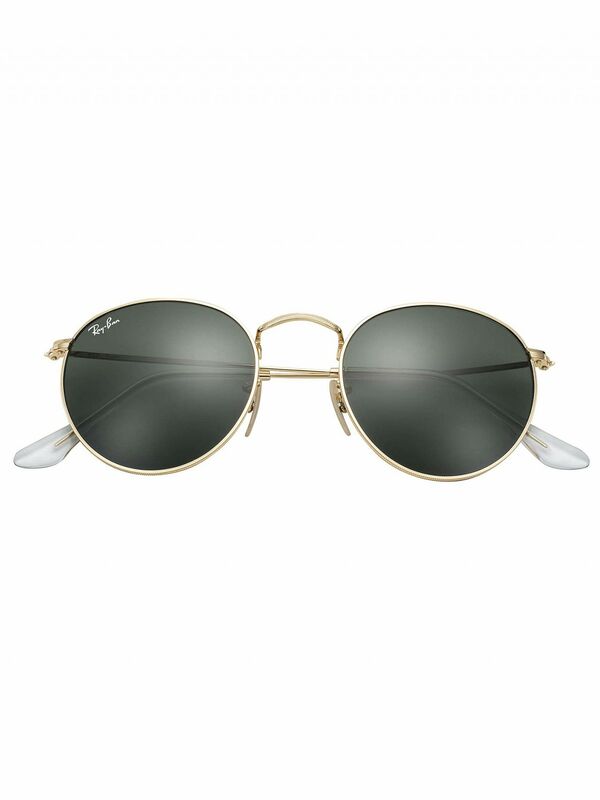 These iconic glass have a distinct round shape and it has a curved brow bar, adjustable nose pads, and thin metal temples with plastic end tips which ensures it fits comfortably. Lenses: Green Classic G-15.